New to UCAT? The Beginner's Guide to UCAT provides comprehensive information you need to start your preparation for the University Clinical Aptitude Test, or UCAT. The Beginner’s Guide to UCAT is an in-depth summary of UCAT and how to prepare for the UCAT exam. It covers what you should know about the UCAT exam and whether you need to sit the exam. The UCAT or University Clinical Aptitude Test is an admissions test for entry into medical, dental and clinical science degree programs used by the UCAT ANZ Consortium of universities in Australia and New Zealand. The UCAT exam replaces the UMAT exam from 2019. The UCAT in Australia and New Zealand is a 2 hour computer-based test hosted at a Pearson VUE test centre. Check out the Matrix UCAT Exam Simulator powered by Learnable platform. It’s identical to the real UCAT computer-based test. UCAT Masterclass Exam Simulator from Matrix Education on Vimeo. What is the purpose of the UCAT? The UCAT exam is used for universities in their selection of applicants with the most suitable mental abilities, attitudes and professional behaviours that are required for new doctors and dentists. It’s used alongside with other admission criteria including other academic qualifications (ie. ATAR) and an interview. What’s the format of the UCAT? The UCAT exam is a 2-hour computer-based test consisting of 234 multiple choice questions. Once started the test cannot be paused for a break but before each subtest there is a timed instruction section. It assesses a range of mental abilities identified as important for medical professions such as medicine, dentistry and clinical sciences. 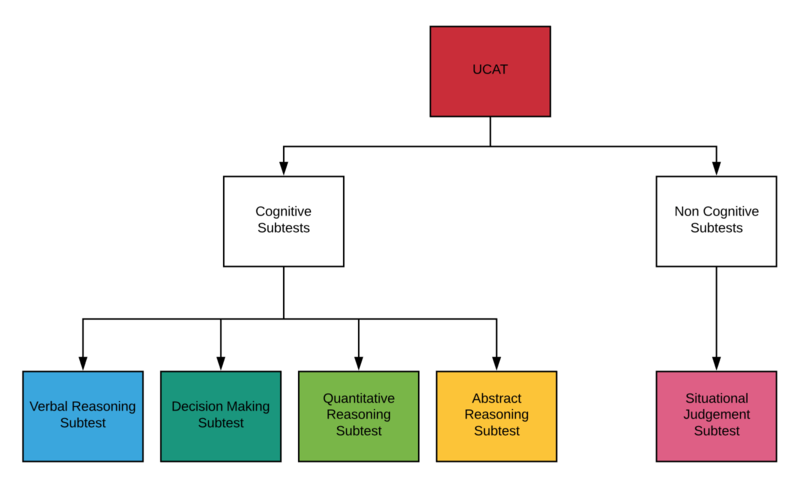 The UCAT exam is divided into 4 cognitive and 1 non-cognitive subtests. Verbal Reasoning: Assesses the ability to critically evaluate information presented in a written form. Abstract Reasoning: Assesses the use of convergent and divergent thinking to infer relationships from information. Why do we need the UCAT? The UCAT is a compulsory entry requirement for Medicine or health-related courses at Australia and New Zealand universities. Who should sit the UCAT? 2019 UCAT should be sat by any Year 12 students who are seeking entry into the medicine, dentistry and health science degree programs in 2020. When can you register for UCAT? From 1 March 2019, applicants for the UCAT ANZ Consortium universities in Australia and New Zealand can register and book their UCAT to be sat between 1 July and 31 July 2019 . The UCAT timeline for 2019 is shown below. How do you register for UCAT? There is a two-step process in the Pearson VUE online registration system. Please refer to this webpage for the latest registration instructions. When is the last testing date? 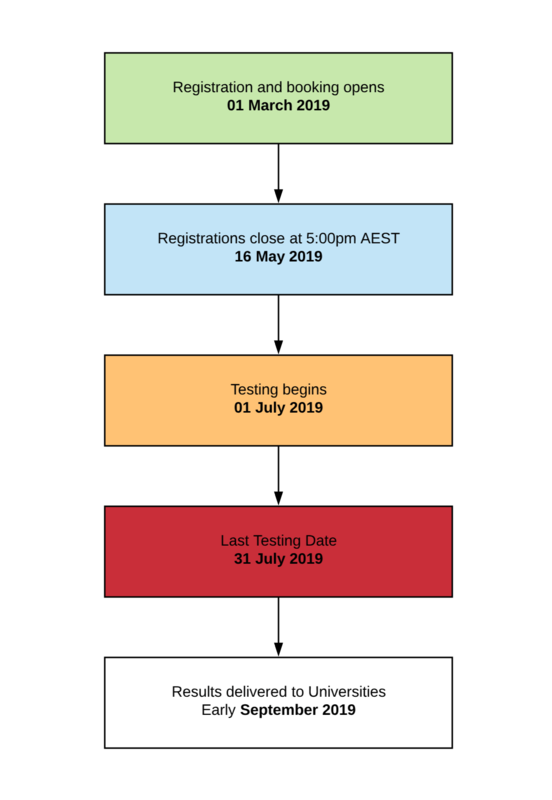 The last testing date for UCAT ANZ is 31 July 2019. When are UCAT results released? Upon completion of the UCAT test applicants will be provided details of how to access their UCAT Score Report via their online Pearson VUE account. These results will be sent to the UCAT ANZ Consortium universities in early September. Applicants do not need to personally submit these results. The UCAT results cannot be carried over from one year to the next. Applicants can use their UCAT test results to better assist them with their university course preference options to maximise their success for entry into a Medicine or Dentistry program. UCAT results from 2019 can only be used for courses commencing in 2020. Since news the UMAT exam will be replaced by the UCAT in 2018, many students have asked for advice on how to prepare for the UCAT. Do not enrol into any UCAT courses until you have checked that it satisfies the new UCAT exam content and format. Our UCAT team has developed effective resources for the UCAT ANZ exam. New Matrix UCAT preparation courses starting in January 2019 are open for enrolment. Spaces are limited. Not sure how to prepare for UCAT? Matrix has helped thousands of students ace their UMAT (now UCAT) to get into the medical science degrees. Attend the Matrix UCAT Seminar to learn the secrets to acing UCAT. © Matrix Education and www.matrix.edu.au, 2019. Unauthorised use and/or duplication of this material without express and written permission from this site’s author and/or owner is strictly prohibited. Excerpts and links may be used, provided that full and clear credit is given to Matrix Education and www.matrix.edu.au with appropriate and specific direction to the original content.